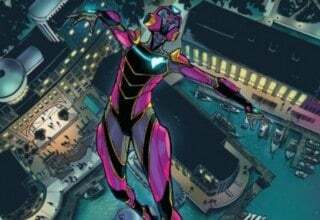 GODDESS MODE #3 has deeper and darker storytelling by Zoë Quinn. However, she makes a huge error that disrupts the flow of the plot. Robbi Rodriguez and Rico Renzi are the backbone of storytelling by truly painting the pictures we need to see during emotional times in GODDESS MODE #3. 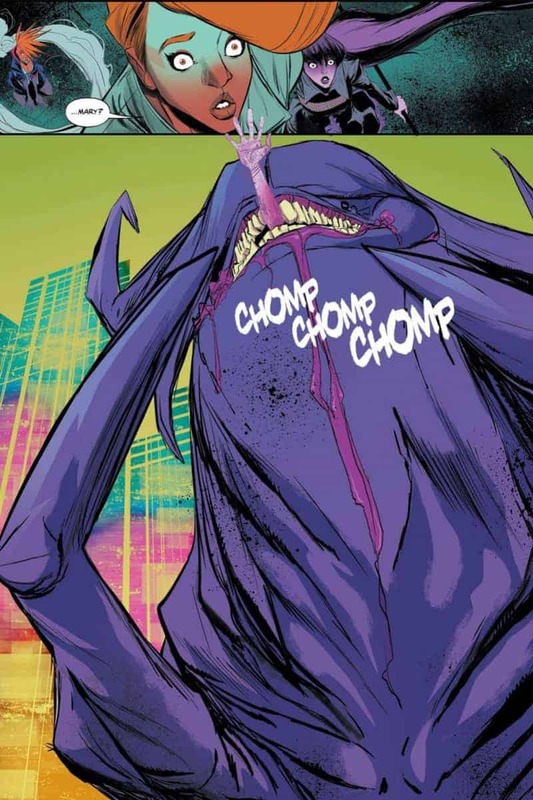 Our journey in the magical girl sci-fi universe of GODDESS MODE #3 continues. Zoë Quinn’s storytelling delves deeper and takes an even darker turn, especially after the end panel in GODDESS MODE #2. 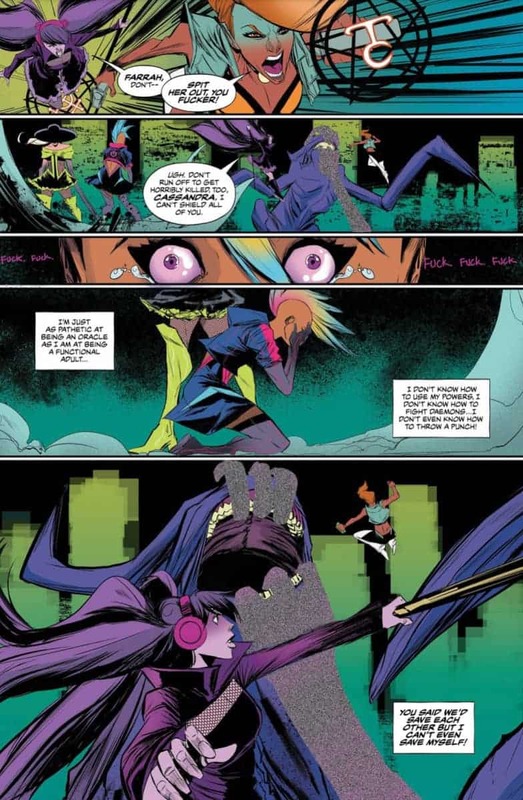 Though Quinn’s work is strong, there is a hole in the story that may be detrimental to the reader’s understanding and experience in GODDESS MODE #3. Regarding the art section, Robbi Rodriguez successfully tells the story with his illustrations. Lastly, colorist Rico Renzi seems to be the backbone in the art department in this issue. He chooses color wisely and aids in articulating Quinn and Rodriguez’s storytelling. The Tall Poppies continue to watch Mary be eaten by the large daemon. Farrah loses her temper, Tatyanna tries to prevent her from making a horrible mistake while Cassandra breaks down into tears of doubt. Cassandra also attempts to fight Antimony. However, Farrah interrupts and Antimony starts attacking her instead. In this event Cassandra discovers the ability to stop time and obtains a large key. If she touches someone, they are able to teleport back to the Analog once time resumes. She saves her fellow Poppies with her power and they return to the Analog safe and sound. Once they return, Mary scolds Cassandra for attempting to fight Antimony alone to which Farrah defends her. Farrah and Cassandra bond over the action Cassandra took. This leads to Farrah opening up about her personal life and how that life makes her feel about being a Tall Poppy. Later, Cassandra’s summoned by Tucker Brady and Paris Reynolds — the most powerful man in the world. Since Cassandra’s avoided Clive, Paris wants to punish her and revoke her father’s privileges. Tucker overrides the idea and instead promotes Cassandra to her father’s old position. Quinn, Rodriguez, and Renzi show their effective teamwork most during the Tall Poppies’ fight in Azoth. The storytelling is most effective in this scene because of the writing and art. Each component works well together to where the reader, for the most part, doesn’t feel lost or confused reading GODDESS MODE #3. GODDESS MODE #3 page 1. 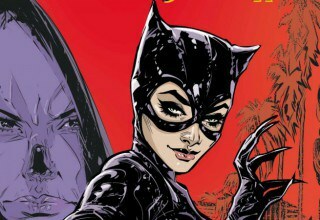 Image courtesy of DC Comics. Quinn easily integrates character development and plot progression. Cassandra discovering her powers in itself is both progressing the plot and developing character. This progresses the plot by showing Cassandra’s value to the Tall Poppies. It also has the reader wonder how her powers will be used in the near future when fights become more dangerous and difficult. As for character development, not only does Cassandra discover her powers, we witness how much the other Poppies care for one another. For example, when we see Mary swallowed up by the daemon, Farrah snaps. Her reaction, drawn by Rodriguez, and her impulsive choice to try and fight this tower of a daemon is a character trait, thus showing more character development and closeness between the veteran Poppies. Though Azoth is the best part in regards to storytelling, it also holds a painful plot disruption. In GODDESS MODE #2, we witnessed Mary chomped from the waist down. In GODDESS MODE #3 we see her swallowed with a little bit of guts showing. Instead of her in two pieces, we see Tatyanna carrying her in one piece. This makes no sense. Can the Tall Poppies not die in Azoth? If not, why weren’t we told? To me, this is a major error that derails the reader experience. It’s like if you’re cruising down the highway and the car in front of you suddenly stops and you end up hitting them. This error is that bad. One small detail I enjoy in Azoth is Cassandra’s anxiety. Quinn writes it well, but Rodriguez and Renzi’s work is what makes this emotion shine. 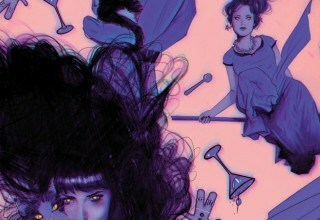 The panel after Farrah bolts toward the daemon shows a close-up of Cassandra’s eyes. Rodriguez illustrates this anxiety with Cassandra’s eyes glassy, wide open in fear, and tears bubbling in her bottom lid. Renzi’s contribution is the icing on the cake. His color choice is a fade between pink and purple. This further illustrates Cassandra’s sadness by coloring redness in the eyes in a unique way. GODDESS MODE #3 page 2. 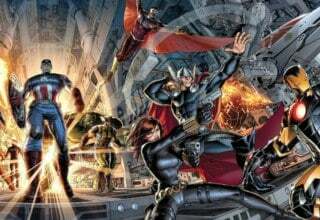 Image courtesy of DC Comics. Where the storytelling’s strongest is in the Analog when Cassandra and Farrah spend time bonding. Quinn, Rodriguez, and Renzi make it known how hard it is for Farrah to be away from her family. The panels in Farrah’s emotional monologue show when she’s on the couch with her wife as they smile tenderly at their children. The very next panel shows Farrah slouched over, depressed, and all alone. Farrah’s poetic description of protecting the world as a Tall Poppy in order to give her family another day to live also has a price. She talks about how hard it is to not see them and spend her days with them. Renzi contributes to Farrah’s heavy monologue by keeping the color theme blue. This is a conscious choice because the reader interprets the scene as one of longing and possibly depression. What I love about Cassandra discovering her power was the fact that Quinn immediately had her asking Psyche a “what if” scenario. Cassandra plays with the idea of touching Antimony with her key item. Psyche doesn’t immediately say no, but Cassandra comes to the conclusion that it would be a bad idea for her to see what happens. However, this may play a part later in the series. What if Antimony finds out about Cassandra’s ability or she’s accidentally touched? This is something to think about and look out for in future issues. Overall, I think there are questions that need answering on Quinn’s behalf. As for Rodriguez and Renzi, I feel they kept the issue strong with their teamwork in illustration and color. Looking forward to GODDESS MODE #4.